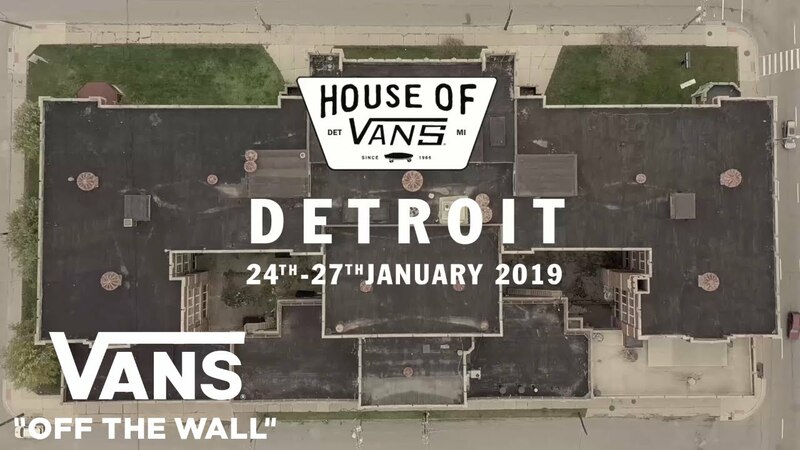 Vans is pleased to announce House of Vans will be coming to Detroit January 24-27, 2019. The four days of programming will include live music, a street market showcasing various members of Detroit's burgeoning creative community, immersive art exhibitions and workshops, skate clinics and an indoor skate park. All free with RSVP. Vans is pleased to announce House of Vans will be coming to Detroit January 24-27, 2019. The four days of programming will include live music, a street market showcasing various members of Detroit's bourgeoning creative community, immersive art exhibitions and workshops, skate clinics and an indoor skate park. All free with RSVP.